Turkey has been a staple meal for generations. It is a protein that is naturally juicy and delicious. Its flavor can be enhanced through the process of smoking. 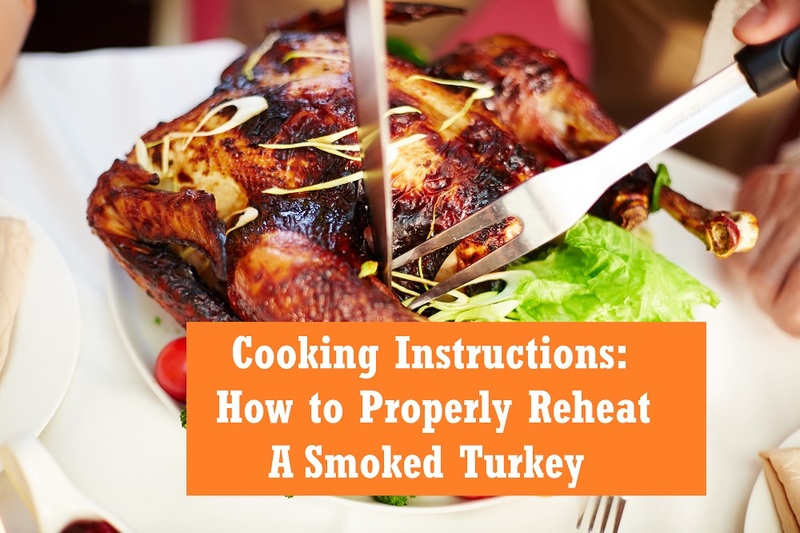 However, it can be a challenge to reheat a smoked turkey without drying out the meat. Below are a few recommendations to help you learn how to properly reheat a smoked turkey. Smoked turkeys have been slowly cooked on indirect heat. This heat can come from burning wood chips, charcoal, or gas. There are even electric smokers. Due to this heating method, the meat is juicy, flavorful, and sometimes pink in color. You can buy them in portions or whole at many grocery stores. First, determine how you would like to reheat your turkey. The majority of smoked turkeys have already been cooked to a safe temperature. To be sure that they do not cause food poisoning, it is always better to reheat them. You could use a microwave, stovetop, or grill, but the most common way is to use an oven. Once you have decided on a cooking method, you should prepare a way to keep your turkey moist. Creating an insulating layer between the meat and your chosen heat source is the best way to make sure its juices don’t evaporate. A heat-proof wrapping like foil or a microwave safe container with a lid are good options. Basting your smoked turkey is also advised. Applying a layer of liquid rehydrates the meat and adds an extra flavor element. All you have to do now is gather all the items you will need. Your turkey will need to have a properly sized container. It should not be crammed. The container should also be suitable for whichever method of cooking you have chosen. The same can be said about your selected wrapping. Also, have your basting liquid ready to go. A turkey baster and a meat thermometer are also necessities. A fresh smoked turkey is easy to cook because all the meat begins at one temperature. This leads to even cooking. Luckily, reheating a smoked turkey is similar to cooking one! According to the University of Illinois, there are hundreds of ways to reheat a turkey. The University of Illinois‘ “Foil Wrapped Method” fits all the requirements to produce a succulent turkey. First, find a roasting pan big enough for the turkey. Line the bottom of the pan with strips of foil long enough to completely cover the turkey. Once the foil is laid out you can place the bird in the center. Make sure the breast side is up to lower the chances of drying it out. Next, you want to baste the meat. Fully coat the turkey to guarantee an even level of moistness and flavor. After basting, close the sides of the foil above the turkey. You want to gently encase it. This method allows it to steam in your basting liquid and its own juices. The recommended oven temperature for this recipe is 450°F. The steam that is produced reheats the meat quickly. Check the temperature of the meat every 30 minutes by using a meat thermometer. This will also give you a chance to baste the meat. Once the turkey is slightly under your desired temperature remove it from the oven. Tip: Do not start carving right away! Allow the bird to rest so that all its juices settle in the meat. It is wise to thaw a frozen turkey before it is cooked. The different densities of meat can lead to it cooking unevenly if not defrosted. Frozen turkeys also have trouble absorbing basting liquids. The University of Illinois also has detailed instructions for how to properly defrost frozen turkeys. There are three safe ways to thaw a frozen turkey. 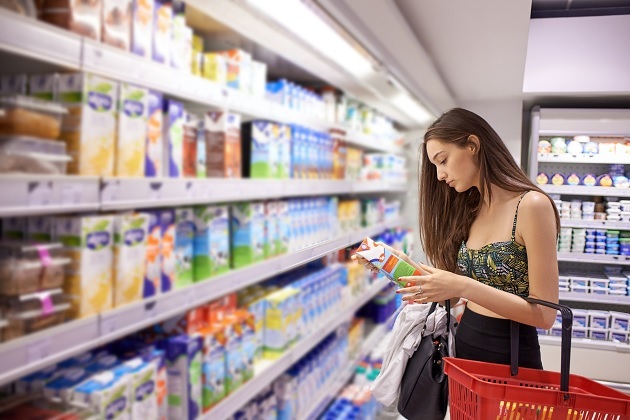 1) There is the refrigerator method. This is one of the easiest and most common ways to defrost a turkey. However, it is also the longest! It will take 24 hours for each pound of turkey to thaw. Make sure to sit the turkey in your fridge on a rimmed baking sheet to collect any leaks. 2) Water thawing is another option. All you have to do is keep the turkey submerged in cold water. The bird must be left in the water for 30 minutes per pound. Also, the water must be changed every so often so that it remains cold. 3) Microwaving a frozen turkey is the best solution if you have a small portion. Otherwise, it can lead to irregular thawing. It is best to go low and slow so you do not begin to cook the meat. Once your turkey is thawed completely it can be treated similarly to a fresh turkey. Most reheating techniques will work fine. You should take extra care with a thawed turkey. The meat will have lost some of its flavor and moisture during the defrosting process. This can be solved with slow and low cooking, covering the turkey, and basting frequently. It all depends on how you plan to cook your bird. For example, if you plan on leaving your turkey open to the air, a low temperature is best. Going anywhere above 375°F will dry out the meat. On the other hand, covering your turkey with foil shields it from some of the heat. This means your oven should be set to a higher temperature to compensate. Raising the temperature of your oven to 450°F should do the trick. Remember to check on the turkey frequently and alter the temperature if necessary. It is not a good idea to reheat a turkey at anything lower than 325°F. According to the United States Department of Agriculture, turkey meat is safe to eat at an internal temperature of 165 °F. While this is true for regular turkeys, the process of smoking has already cooked the bird in a way. It does not require the same internal temperature. Reheating the meat to 145°F will work. If you choose to reach an internal temperature of 165 °F, a simple trick from the Pittsburgh Post Gazette can make sure you don’t overcook your turkey. They recommend pulling the bird out of the oven when it is around 155°F. The meat’s temperature will still continue to rise once it is removed. This will stop it from becoming too much. When buying a smoked turkey, see how it was smoked. Choose additional flavors that will meld well with the meat. Always store turkeys in the refrigerator or freezer to stop bacteria growth. Try to limit the number of places you test a turkey’s temperature. More holes means more chances for moisture to escape. Research several recipes before attempting to reheat a turkey. Find the best match for your palate. Throw away reheated turkeys that have been sitting at room temperature for over two hours. When choosing a turkey, consider that the average serving size is about one pound per person. Never buy a turkey with stuffing already inside. It is difficult to reheat the stuffing properly and it has a higher chance for bacterial growth. Choose turkeys that have later use by dates because they are more fresh. Always make sure your smoked turkey is reheating in even heat. Rotate your turkey or lower oven shelves to help. Properly sealed turkeys can last up to three years in your freezer. However, for the best freshness, turkeys should be eaten within seven months. Reheating a smoked turkey is not as difficult as it may seem. While there is a risk of overcooking the meat, the additional flavor from the smoking process is well worth it. There are numerous methods for cooking both fresh and frozen turkeys. Find the best cooking option for you. Find a way to keep your turkey moist. Have all your materials ready to use. With those steps in mind, you are on your way to perfectly reheating your next smoked turkey. Do All Fruits Contain Seeds?